The rundown: I noted last year that this category can sometimes match up with the Best Picture nominees, like in 2010, when all the nominees were also up for Best Picture, and sometimes, like in 2006, when none of them were. 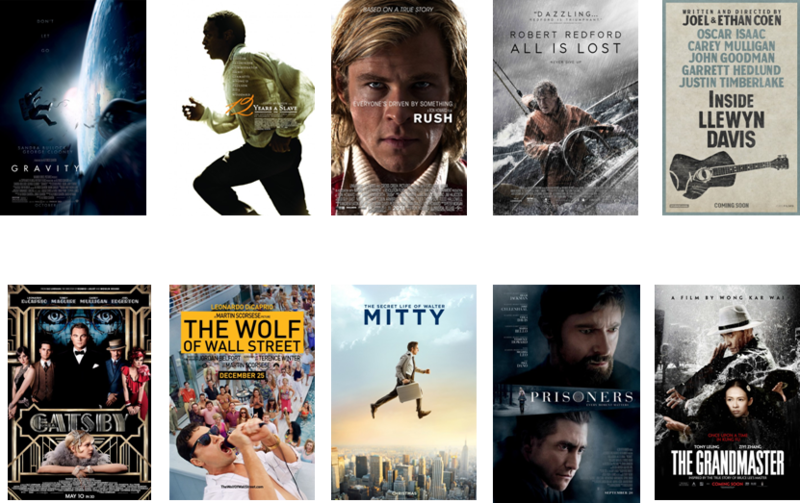 Last year, two technically-acclaimed entries that weren’t up for Best Picture, “Anna Karenina” and “Skyfall” made the cut. This year, Rush has the best shot of fitting that bill, and The Great Gatsby is another good bet unless voters find it too lavish. All is Lost could be a Best Picture contender, but I think it will have better chances here. Gravity and 12 Years a Slave will add to their nominations count here, and I’m betting on Inside Llewyn Davis to grab the last spot over The Wolf of Wall Street and a whole host of other contenders not likely to nab nominations in other categories. One possible crazy scenario: Black-and-white entries Nebraska or Frances Ha find themselves nominated. Forecasted winner: This should be Gravity.